Although we have not personally had the pleasure of working with Rus on the sale or purchase of a home as we do not live in the Indianapolis area, we have known him personally for years and my husband and I highly recommend him to all our friends and family! His professionalism, dedication and positive attitude are the driving force to all his successes and definitely a breath of fresh air in the real estate industry. Rus sold me my newly built home in late 2010. He made me feel very comfortable and walked me through the entire process from start to finish. I could always call him with any questions I had pertaining to the building of my home. I really enjoyed working with Rus and would recommend him to anyone looking for a new home. Thanks Rus for everything! Rus has over 42 years of experience in the real estate business and we have found him to be a reliable and competent source of information and advice since he is very knowledgeable in all areas of the home building and home buying process. We would highly recommend Rus to help you with your next real estate transaction. I've known Rus Coover for about 15 years. I first met him in Atlanta GA through the National Association of Home Builders. Rus was always very professional and extremely knowledgeable concerning the housing industry. What impressed me most about Rus, was that he was 'genuine'. Many of the people that I've met in my 30 years in housing have been what I would call 'phonies'. Not Rus! He strikes me as the kind of guy that would be honest to a fault. I'd recommend him to anyone seeking a knowledgeable professional realtor. Rus is a seasoned housing industry professional with a clear understanding of not only the homebuilding and construction environment, but even more importantly, he understands what motivates customers, how to market and sell homes efficiently and effectively, and the motivation and training of sales consultants. For these reasons alone, he would make an excellent resource for a home seller or home buyer, but on top of all of that he's a delightful person to work with. We had the pleasure of meeting Rus Coover when he was the sales manager for Arbor Homes. We were in need of a larger home and unsure of how to go about it since we still owned our house. Rus was a tremendous help with explaining the whole process to us and in the sale of our smaller home. He was also instrumental in helping us choose the best new home that would best meet the needs of our family. Rus was also great about sharing his opinions on colors or ideas on upgrades during selections. We went into the whole process knowing what our budget was and Rus never once pushed or encouraged us to spend more than we could afford (what a rare thing to find in a salesman!). We thoroughly enjoyed working with Rus, we would do so again and would recommend him to any of our family or friends. Rus and I have known one another for years and I&rsquo;ve watched him help countless homebuyers become homeowners. Not only does he have the vast experience to know the ins and outs of the industry, he truly cares about each individual buyer and takes great pride in walking them through the process. He is an outstanding communicator with great vision and people skills, selling homes is what he does and he does it well. I would highly recommend Rus to provide top notch customer service in all facets of your real estate needs. Rus is a guy you want on your side in real estate! With knowledge and experience that is hard to match, Rus is an asset to guide you through your home buying process. You can count on him being there from start to finish and beyond. We first met Rus when we were looking for a new home and stopped in a model where he was working. Like anyone else who has ever contemplated building a new home, we had a thousand and one questions about the neighborhood, the various models available, financing, options, etc. We were very impressed by Rus's knowledge of his product and his patience and good humor in helping us work through the decision process. Rus even went so far as to make sure we were able to take advantage of a special offer by the builder that we were not even aware of at the time. The bottom line is that we have a great new home, but better than that, we have a great new friend named Rus Coover. In today's challenging real estate market, you need a true professional to represent you; someone who has the integrity to work hard for you along with the knowledge and experience to help you maximize your investment, whether you are selling or buying. Rus Coover is that person. I was fortunate to have worked with Rus in the beginning of my career and it's Rus who taught me the basics of the Real Estate business and allowed me to build my company. Rus is not only a skilled professional but he is a true joy to work with. He makes the process fun and constructive and never a challenge. Having over 10 years of experience in selling, managing and training sales persons in Real Estate, I understand the difference a true Real Estate Professional can make while navigating the client through the sales process. I was able to work first hand with Rus on multiple transactions and I found him to be one of the top sales professionals I have had the pleasure of working with. Rus's experience allows him to think outside of the box while problem solving and finding real world solutions to unique situations. His honesty and integrity in putting the client's needs first is sometimes a rarity in today's market. While making one of the biggest acquisitions in your life, the choice of a Real Estate Agent can make all the difference in protecting your investment and being able to enjoy the excitement of purchasing and/or selling. With Rus, you are in the hands of an ultimate professional. You should be able to relax and let him work for you knowing he has your best interests at heart. Rus Coover and I have worked together as colleagues for many years, for both local and national home builders in the Indianapolis area. During that time, Rus consistently proved himself to be a consumate professional. His knowledge and experience in the industry has also proven to be invaluable to those who work with him, and more importantly, for those who are looking to buy or sell their home. If you combine Rus's local market knowledge, industry experience, and his sphere of influence in the Indianapolis market, he's the complete package when it comes to defining a Real Estate Professional. Anyone seeking his professional services will not be disappointed. Not to mention, he's a Denver Broncos fan! Rus is without a doubt the most professional Real Estate salesperson I have worked with in my 13 years in the industry. I highly recommend getting to know Rus for your buying or selling needs and can say without reservation, you will be in good hands. Words cannot describe how helpful Rus was when my wife, Carrie and I purchased our home. Everything he promised he delivered on and more. His knowledge of the housing market helped us make a smart decision when purchasing our home and this was even more important after the market went south. We always felt that Rus had our best interests in mind and would never hesitate to ask for his assistance in the future. We sincerely wish him well in all his future endeavors and hope to see him soon. Juana and I would like to thank you for making it possible for us to purchase our dream home. You are a true down-to-earth Real Estate professional and we will be recommending you to others. You were able to negotiate the purchase price and a few extras all while being mindful of our budget. You kept us informed during the entire process, and your suggestions made our home purchase stress-free. Thank you again. I've known Rus for a number of years and have had the pleasure of being his co-worker in the new home business as well as a personal friend. As your real estate agent, I can assure you Rus will work hard to earn your business and even harder to earn your referral business. He'll negotiate to protect your financial interests as a seller and negotiate to find the seller's bottom line price for you as a buyer. And through this process, Rus's communication will be consistent, effective and results-oriented.&nbsp; If you're looking for a real estate agent with a proven track record of success and an astronomically high rate of referral, I recommend you contact Rus Coover. He's open for business! As second-time home buyers, we knew what we needed in a house. However, as our first time to have a new home built, we needed someone with experience to guide us in the right direction. Rus was able to take our ideas and put them to paper within our budget. He was very straight-forward and prompt in answering any questions and resolving any issues we had during the entire process (design, build, closing). His many contacts in the industry helped us find a quality lender and also dependable contractors to help us in some other projects (home theater wiring, fence and deck). We would recommend Rus for any of your real estate needs. I had the pleasure of working with Rus on several occasions in the insurance industry. Rus is an extraordinary man to work alongside - conscientious, thorough, a dependable professional, adaptable in any arena. He is a rare salesman that focuses on 'what's in it for you' and aligns his priorities according to YOUR goals. I would consider it an honor to have Rus Coover as my FC Tucker Real Estate Agent! Rus Coover helped us greatly in the process of purchasing our home. He was always available to answer our questions and guide us through the process of purchasing a newly built home, something we had never done before. He is very knowledgeable and honest in all situations. When we didn't feel things were quite right for us and our situation, Rus worked hard to help make it right, even though he had no obligation to do so. He went out of his way to make sure we felt comfortable, happy and in our new neighborhood. I highly recommend Rus as a realtor if you're buying or selling a home because I know he will put forth the effort it takes to do what works best for you. Rus Coover and I worked together at Arbor Homes. I respected Rus for his knowledge and expertise in the real estate business. Rus has a strong sense of humor and really enjoys working with people. Rus has been in the business for many years and he uses his expertise and knowledge to custom fit the right location and product for his buyers. Being that Rus has worked in the new home sales arena as well as having been a realtor, he is extremely knowledgeable. Rus will always intellegently advise his home buyers so that they make a wise decision for themselves and their families. Rus is a team player and is always willing to lend a helping hand. I enjoyed working with Rus and I would recommend him. He can be trusted and will always keep his clients best interests in mind. I met Rus almost eight years ago at Beazer Homes. Rus is extremely genuine and friendly and always willing to share his industry knowledge. I recently became neighbors with Rus and am happy our paths have crossed again. From a great colleague to a great neighbor, I am fortunate to know Rus. I believe Rus Coover is the best marketing expert for homes that I have had the pleasure of knowing these past 30 years. I worked with Rus when he was the Vice President of Marketing for the largest independent Realtor in the U.S. and can attest that his marketing expertise was responsible for moving some of the toughest properties ever listed, even under power lines, next to railroads, and backed-up to freeways. Rus always found the hidden value and knew how to promote it&hellip;They always sold! Rus Coover is the one I would trust to maximize my sales price and get me to the closing the fastest with the least problems. I highly recommend that you talk with Rus, as I know you will see what I know to be true&hellip;He is the The Master of Marketing. I first met Rus Coover in Denver 30 some years ago. 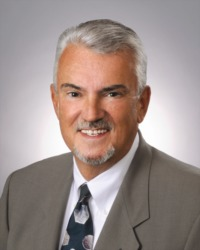 He has had a very distinguished career in both the homebuilding industry and in real estate. Rus is a very astute marketing professional and has a good deal of experience in management. I'm proud to call him a friend and would be happy to recommend him. Rus Coover's warmth, sense of humor, intellect, and friendly, outgoing personality builds strong connections with others. His caring nature is displayed often as he seeks to serve his customers. I truly value Rus's friendship! In 2002 I had the pleasure of working with Rus Coover as he assisted me in purchasing my new home located in The Groves of Andover Community. Rus was very attentive and had a strong knowledge of Construction and Financing. This was important to me since I was self-employed and needed guidance through mortgage process. He was able to help me find a floor plan, home site, and financing that fitted my needs. It was a great experience and I look forward to working with Rus in the future! I have had the pleasure of knowing and working with Rus over the past 12 years. I respected his professionalism from the start and over the course of time we not only became neighbors, but family friends. I have met many people during my career in real estate but I've yet to meet anyone that is more organized or thorough. More than anything though, Rus has a rare ability to make the most simple things in life seem exciting. To do this, one has to have a zest for life and absolutely love what they do each day. We no longer live down the street from each other and in fact are separated by 2000 miles, but we interact frequently. Every time I see one of his newest family photos or read an email from him I'm reminded of that zest for life and his positive energy. It's because of this that I know he will make many clients happy and do his very best to make each transaction special and as stress free as possible. I wish Rus and his clients all the best!